planet manners: World: We've Passed 400 PPM Threshold. Permanently. World: We've Passed 400 PPM Threshold. Permanently. 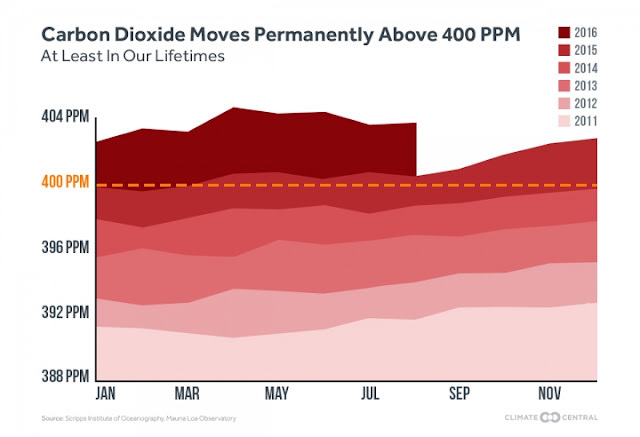 Carbon dioxide just hit its annual minimum and failed to dip below 400 ppm. We're unlikely to see a month below that level in our lifetimes.